Do you know what sounds good on vacation? Saving money! 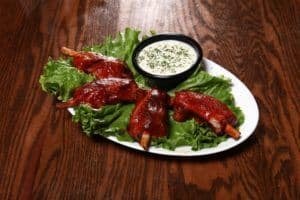 Besides the fact that there are great Smoky Mountain restaurants to enjoy with your family, you can also get some great discounts at some of these fine establishments. If you want to save quite a few extra dollars on your vacation, you’ll want to check out these 6 restaurants with fabulous discounts! Many Smoky Mountain restaurants have BBQ and ribs, but few of them offer discounts like ​Corky’s BBQ & Ribs​. Here you can enjoy a tasty barbecue meal and get 10% off your entire bill, which is nice when you’re running it up from ordering plenty of good items off their extensive menu. There’s plenty of lip-smacking, belt-busting options! Smoky Mountain restaurants don’t just have great traditional Southern fare; they also have a good mixture of great seafood. At ​Crawdaddy’s Restaurant & Oyster Bar​, you can also get a 10% discount on your total meal, which is nothing short of a seafood smorgasbord. And there’s absolutely nothing fishy about that! Having breakfast at Smoky Mountain restaurants should be near the top of your list of priorities on vacation. 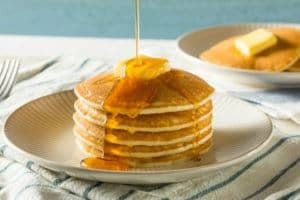 ​Flapjack’s Pancake House​ has several locations in the area, and you can score some of their fantastic fritters for free with our coupon. Make sure to save room for pancakes too, as you’ll want to order some spectacular stacks! Smoky Mountain restaurants sure have plenty of breakfast options. If you decided not to take advantage of the Flapjack’s offer — even though you’ll want to —​ we have a 10% off coupon for Smoky Mountain Pancake House​. You won’t be disappointed with this place either, as you will be crazy about their pancakes too! If you thought Corky’s BBQ & Ribs offered a great deal, ​Bennett’s Pit Bar-B-Que​ ramps up the deal with a 15% discount on breakfast and lunch. You can even get 10% off dinner here as well. It’s one of the better deals at Smoky Mountain restaurants like this one. Having a breakfast buffet is an added benefit to their sweet barbecue options, proving good BBQ has a place at any meal. Tex-Mex is a tasty combination of Texas and Mexican styles, and this place adds a little spice to the many Smoky Mountain restaurants you can visit. ​Loco Burro Fresh Mex Cantina​ offers a big menu with a special 10% discount on your entire meal. With the amount of Tex-Mex options here, a deal like that is just borderline crazy good if you ask us! That’s just some of the many Smoky Mountain restaurants we offer discounts to. If you’re really hungry for a good deal, be sure to look at all of our dining deals and many others on our ​Print Coupons page​. 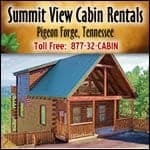 You’ll find yourself bringing back extra money to spend on your next vacation in the Smoky Mountains really soon!